It's a festival that's leaving a bad taste in customers' mouths, but no food in their stomachs. 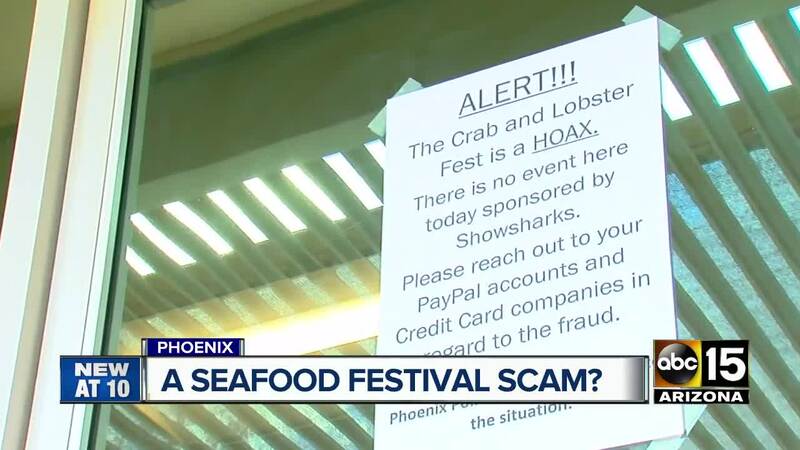 More than a dozen people told ABC15 they believe they are the victims of a scam. They purchased tickets online to the "Crab and Lobster Feast" advertised as "All you can eat fresh steamed crab and lobster, sides drinks, and more!" When customers arrived at the address near 32nd Street and Broadway on Sunday, they found an empty warehouse and parking lot. McCray and others shared a similar frustration. Customers, some who showed their receipts, told ABC15 they paid between $30 and $60 a ticket. "I think it's that value stamp behind it that they figured people will pay for this, and we did," said Laurie McCracken, who drove from Maricopa. On the event website, the company putting it on is named "SHOWSHARKS" with a Los Angeles address. ABC15 was unable to find a valid phone number for anyone associated with that company and an e-mail went unreturned. 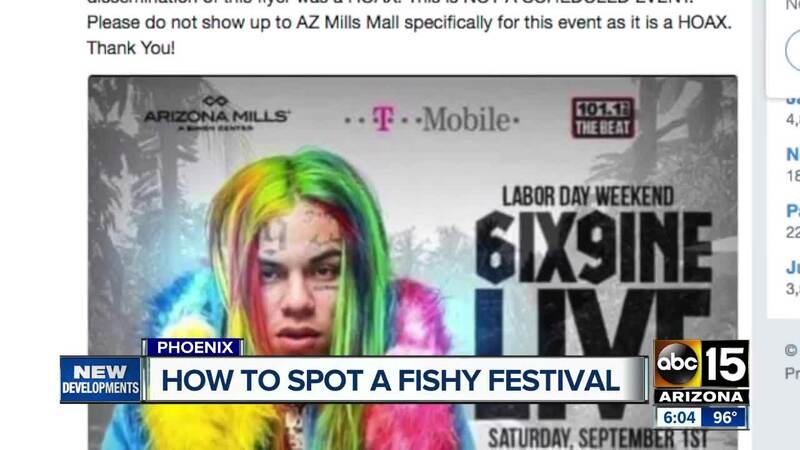 On Sunday, an ABC15 crew saw several vehicles drive through the parking lot as customers were left bewildered, wondering if the event was around the corner, or on the other side of the building. The event website indicates tickets are sold out. Frustrated customers say they feel for everyone else who also bought tickets and for those who traveled from out of town.